When I started to think about Courtney and Anthony's wedding day, I wanted to think of a word that could perfectly describe how they made every single soul feel on that day, and the best word that I could think of was appreciated. From the families cooking and baking in the early morning, to all of the friends who traveled hundreds of miles, you could tell that these two had built some amazing relationships over their past 10 years of dating (look at the size of the bridal party). The love was everywhere and it all stems from the past 10 years of creating this beautiful relationship. 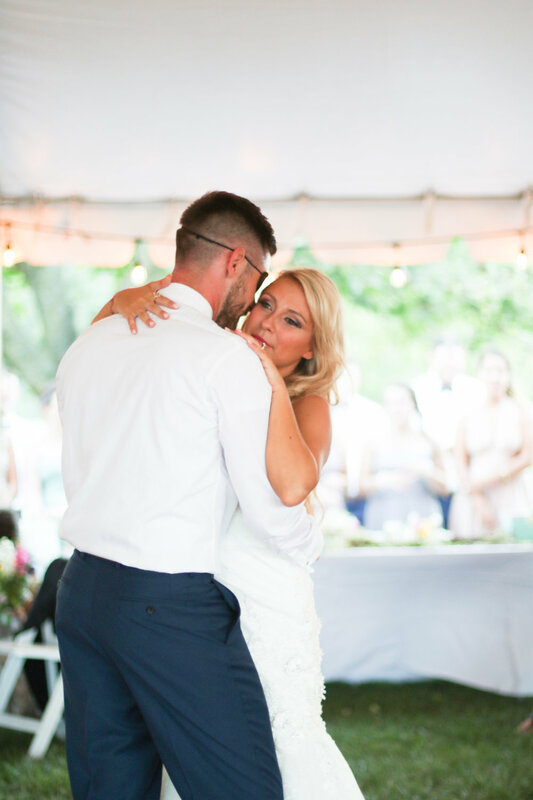 You could feel the passion, authenticity, and sincerity of how much each guest felt toward Courtney and Anthony, and it was a true blessing to witness. They made me feel so welcomed, comfortable, and I felt like part of the family once the night was over. The way these two look at each other is so special and so incredibly real. When taking their individual portraits, both of them kept asking how the other one was doing and it spoke volumes as to how much they truly love and care for one another. Courtney and Anthony, THANK YOU for letting me capture your special day! I pray that you and your family have endless decades of love and laughter because you two deserve nothing less!